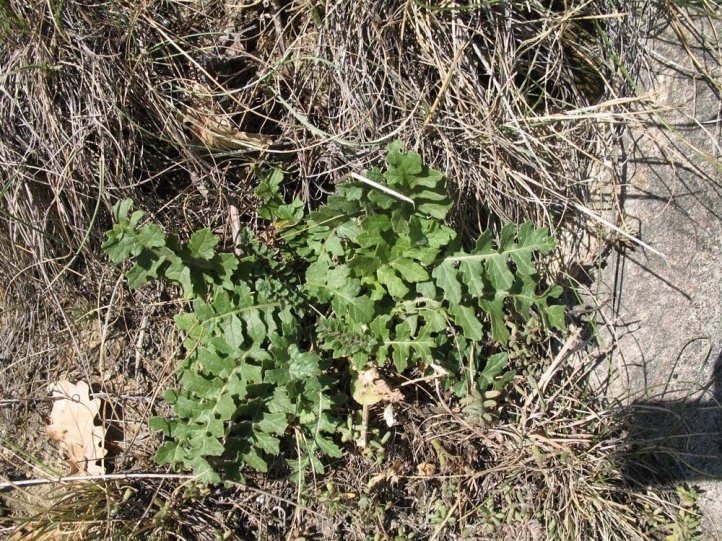 Brassicaceae. 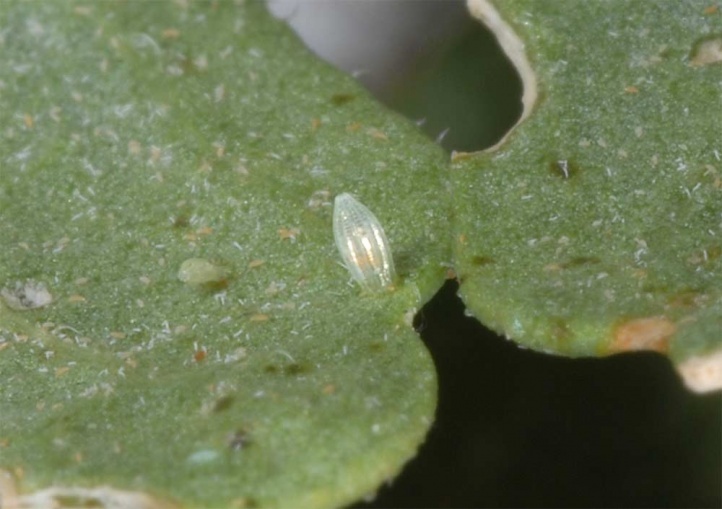 The eggs and caterpillars are particularly observed at Alyssoides utriculatum, Iberis species and Arabis. 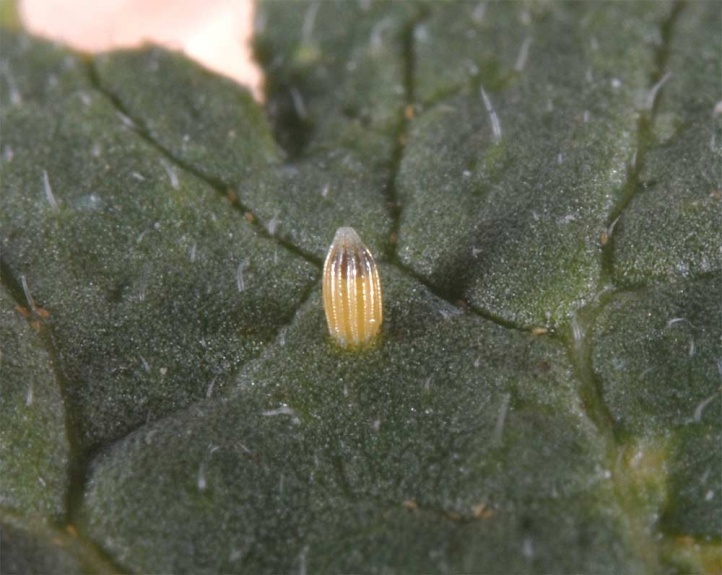 I found them along with eggs of Pieris rapae and Pontia daplidice in western Valais on rosettes of Erucastrum nasturtiifolium which grew in edge position to dry bushes. 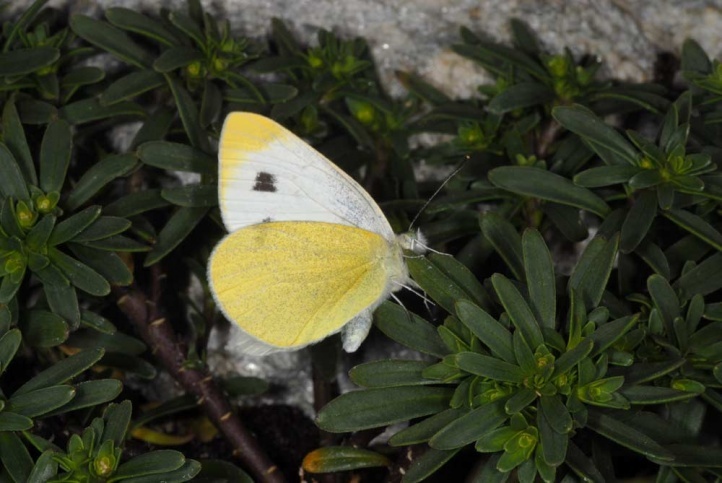 Pieris mannii inhabits warm and dry rocky slopes, screes and dry scrub. 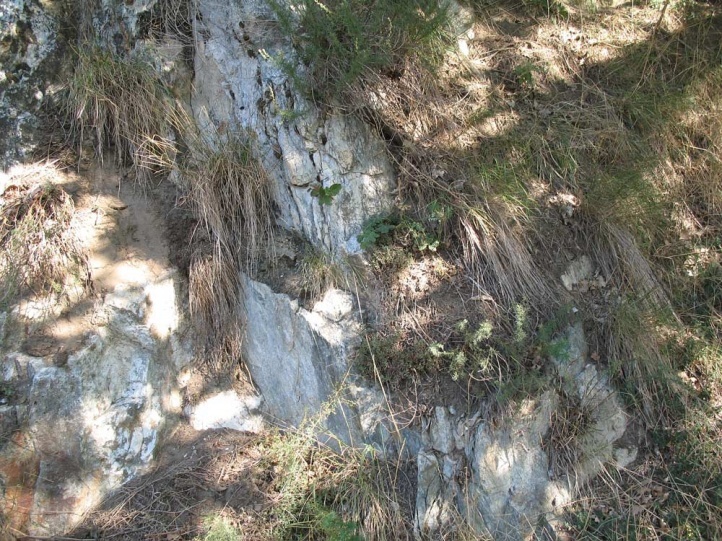 A certain woody portion is important or at least beneficial as oviposition occurs often on the edge of sunny, light bushes (Greek Olympus, Valais). 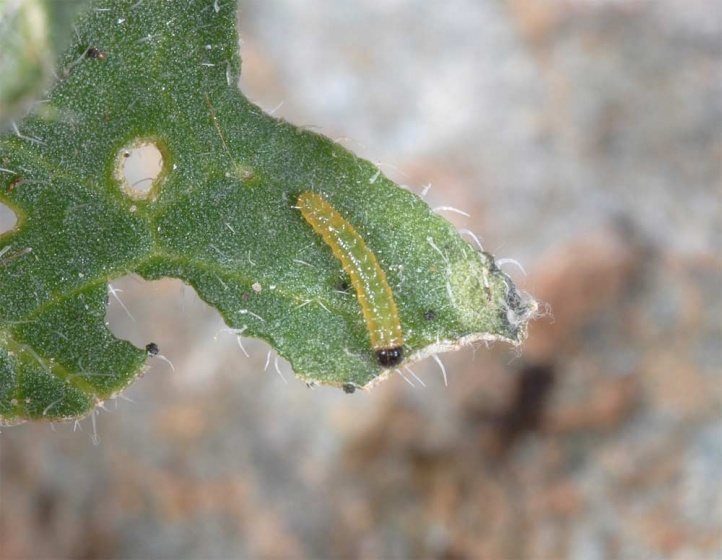 Apart from these primary habitats Pieris mannii colonizes in recent years - due to global warming - also other habitats, so rock gardens and other sunny, warm places with Brassicaceae even in the settlements. 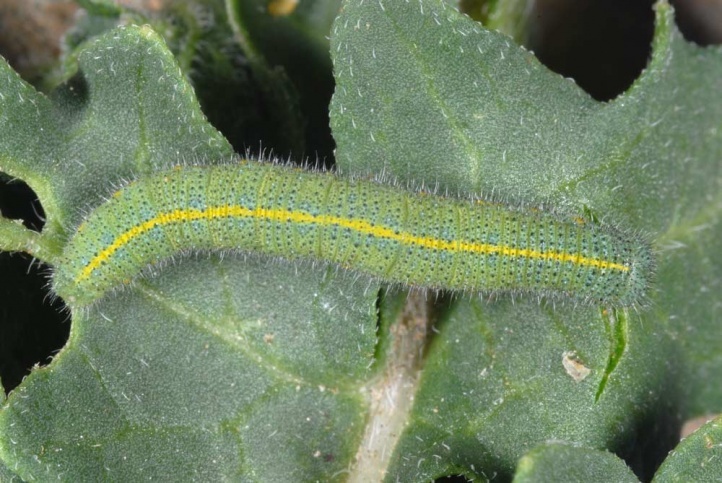 Pieris mannii is polyvoltin with 1-4 broods from April to September/October. 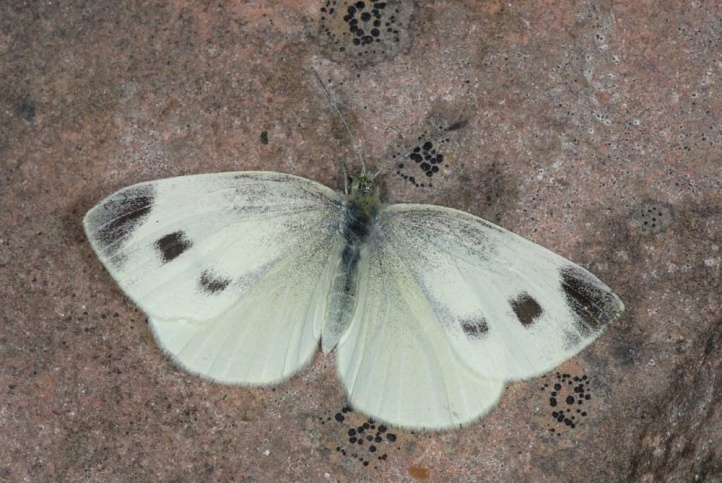 Pieris mannii is rarely observed already in March. 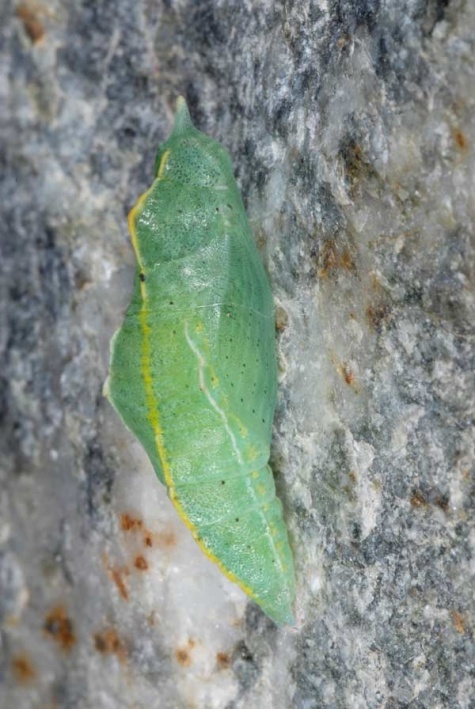 Unlike Pieris rapae, the number of individuals is less increasing in the course of summer at least in Southern Europe, probably because some pupae go into diapause and larval host plants dry out. 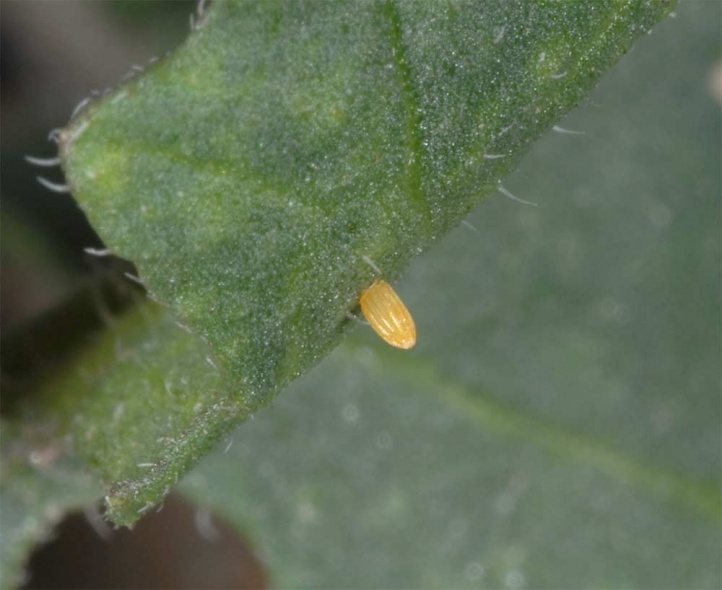 I found the eggs both on the upper and lower leaf surface near the ground. 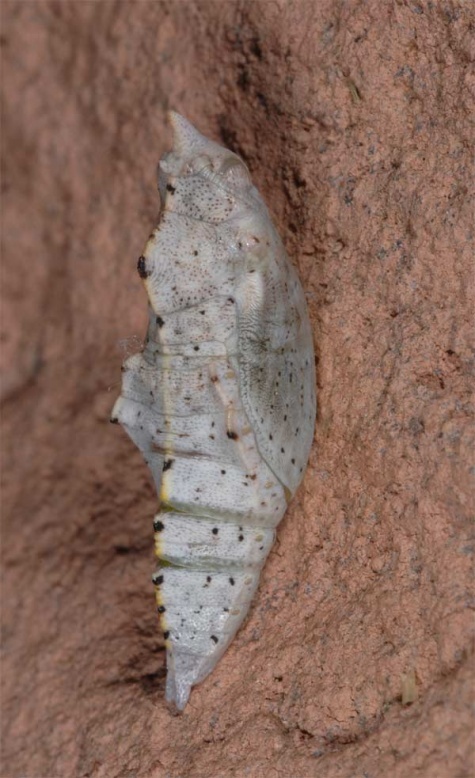 The pupa overwinters and is often attached to stones. 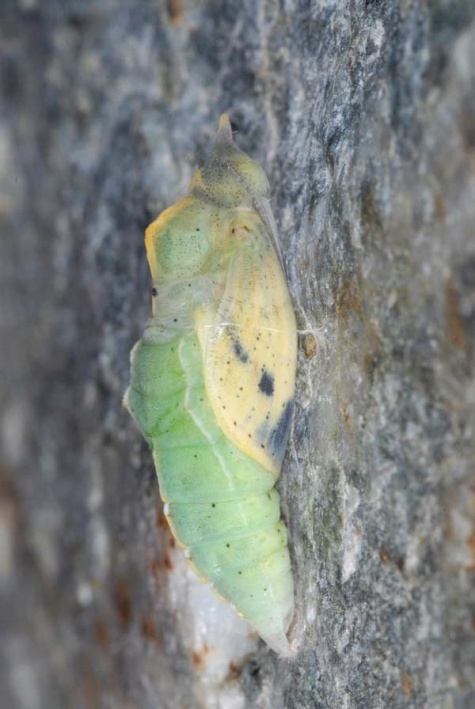 According to own observations green colored pupae usually develop without hibernation, whereas gray pupae both can hatch or hibernate. 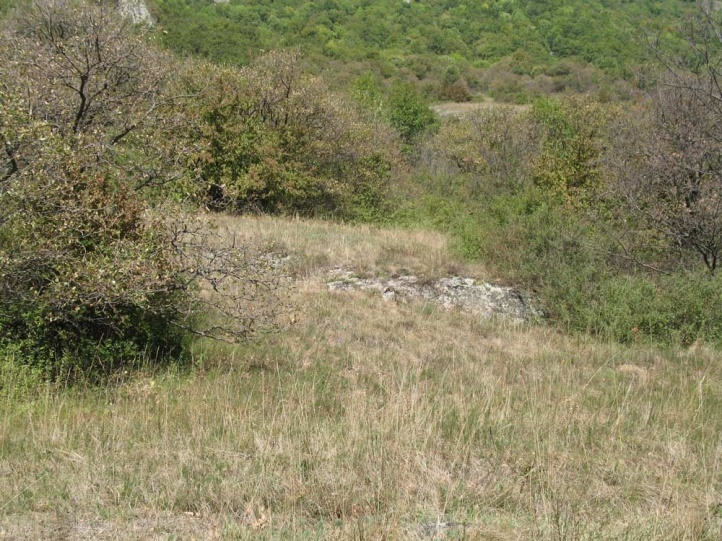 In the few outposts in Central Europe, Pieris mannii was threatened with extinction, mainly because of reforestation of the slopes, overbuilding or especially expansion of viticulture. 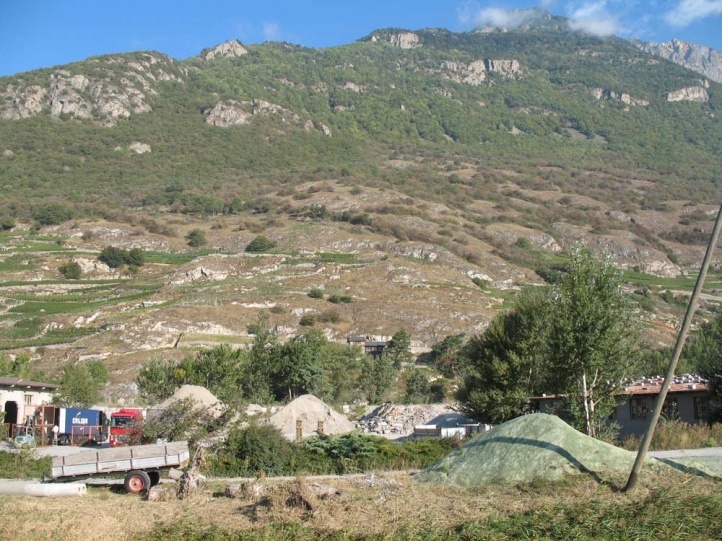 The latter, for example, probably already destroyed 90% of the total rocky steppe-like grassland in the Valais, particularly the lower Valais. 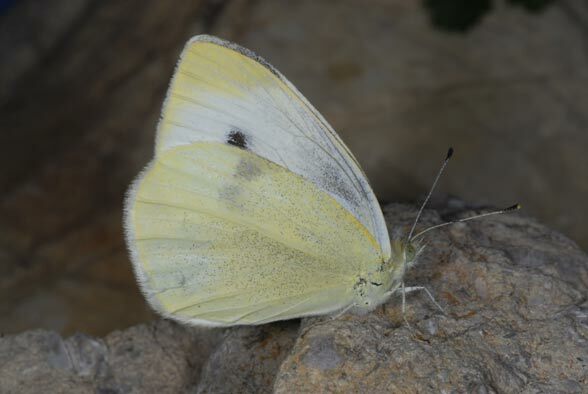 Pieris mannii is indeed a Southern European species (from Morocco across southern and Southeastern Europe to Asia Minor and Syria) which used to occur only to the Southern Alps and the Valais. 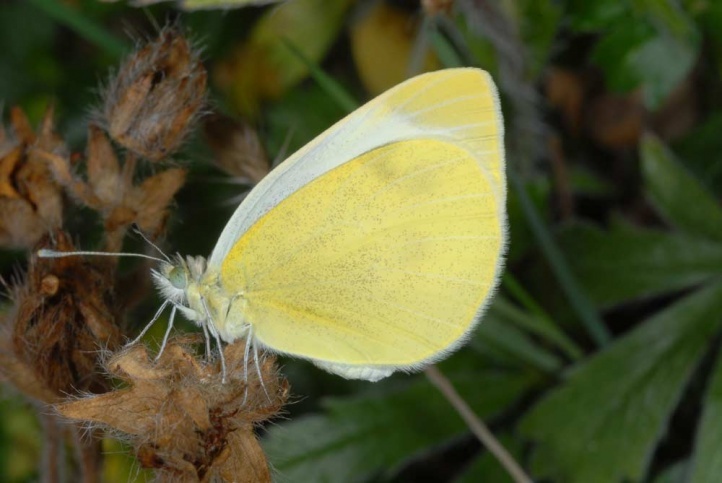 In progress of global warming Pieris mannii has spread across much of western Switzerland and reached already southwestern Germany since at least 2008. Most recently there are also records from Munich region. It will be interesting to watch the further development. 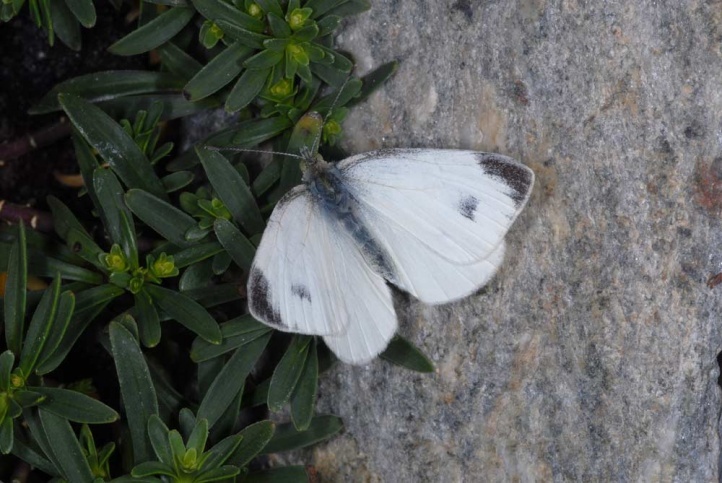 Pieris mannii is very similat to Pieris rapae, but can be separated apart from the genitalia by following attributes: black apical spot (forewing) is usually overtowering the vein M3, discal spot of forewing is larger (relative attribute) and outer margin of forewing more rounded. 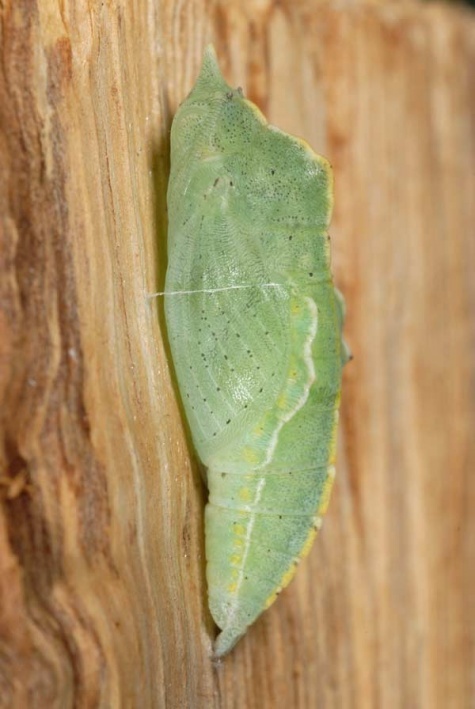 The hindwing lowerside is often very intense yellow and more evenly greyblack touch. The eggs are a bit shorter and more squatty. 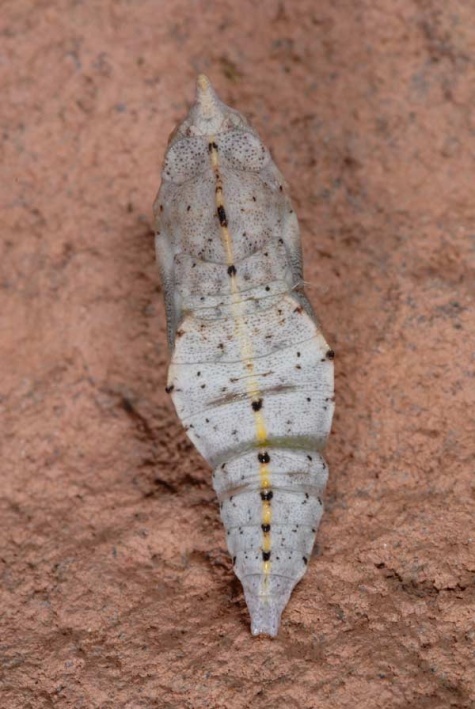 The larvae have a black or at least black dotted head capsule in the first and most often also in the second instar. 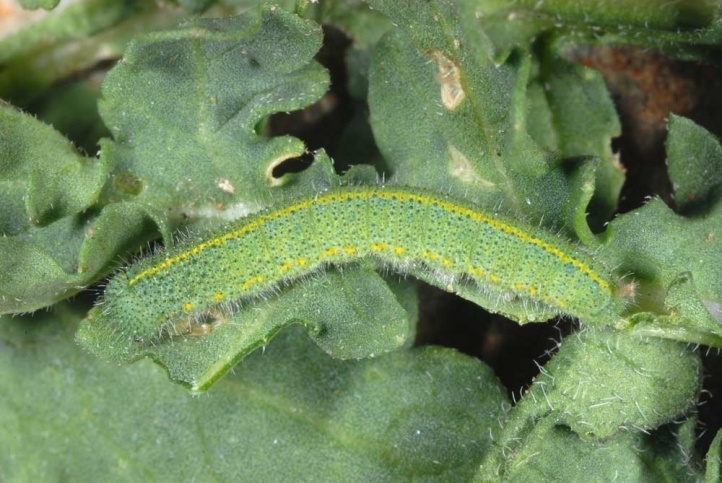 Those of Pieris rapae are greenish or yellowish. Moreover, the yellow dorsal line is more intense. The same applies to the lateral spots. 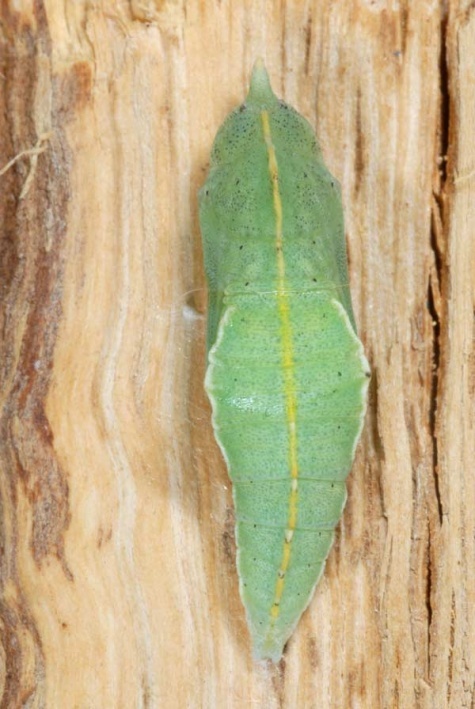 The pupa has a shorter head appendix and most often a more distinct yellow dorsal line.